Edna Kingkade [Bickner], third & fourth grades. 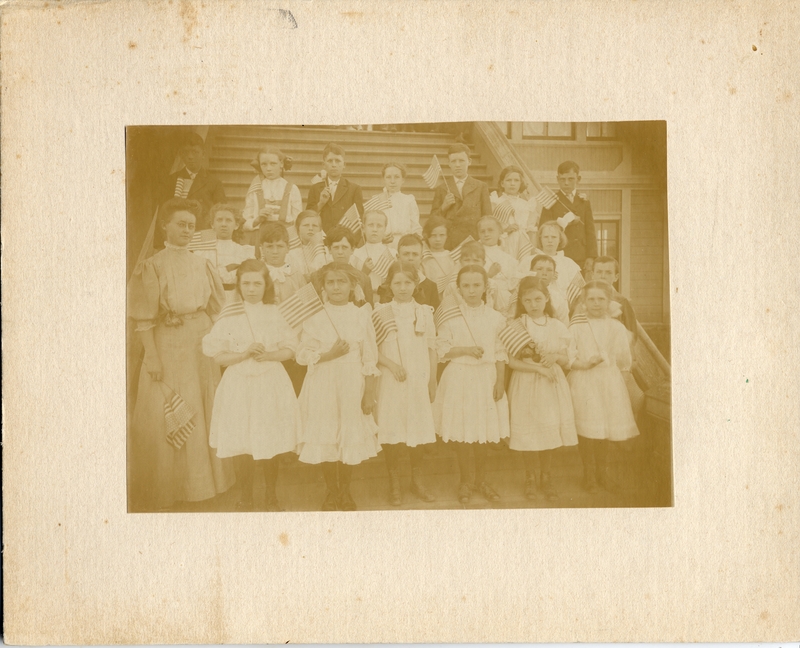 Ready for flad drill, on steps of old school house, erected 1893, Oswego, Ore. 1906-1908 taught. OA#101. Gift of Ava Crowe. Description Mounted on cardboard, faded. See photo 1551b for student names. Same as 1551a & b, and 369a, b, & c. See 1551b and 369a for names. Transcription Edna Kingkade [Bickner], third & fourth grades. Ready for flad drill, on steps of old school house, erected 1893, Oswego, Ore. 1906-1908 taught. OA#101. Gift of Ava Crowe.